Railpictures.ca - Earl Minnis Photo: VIA 906 P42DC sports a new Poppy themed paint scheme. | Railpictures.ca – Canadian Railway Photography – photographie ferroviaire Canadienne. 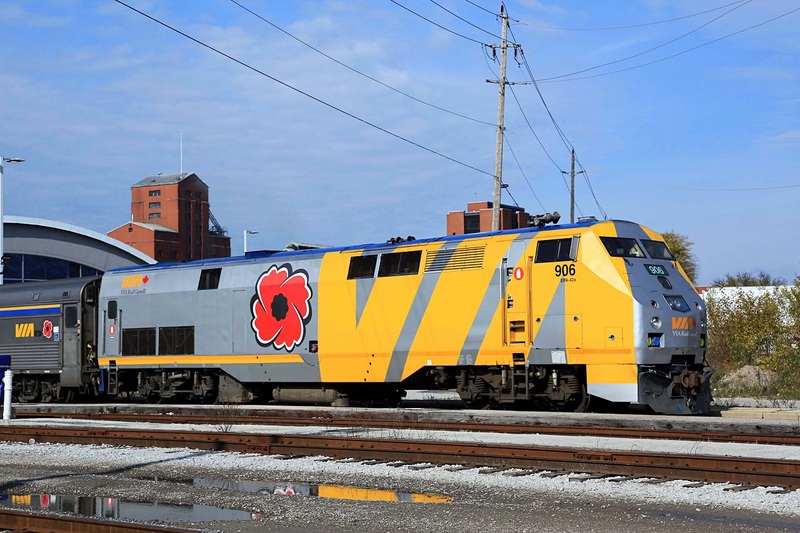 Caption: VIA 906 P42DC sports a new Poppy themed paint scheme. I wonder how long they will leave that scheme on? It IS nice in its’ simplicity. And meaningful.